Welcome to Centennial’s Testing page. Please visit the following pages for information or to register for a test, test dates, etc. If you have additional questions, please feel free to contact me. The ACT, or American College Test, is a national college admission examination which consists of subject area tests in English (grammar, punctuation, sentence structure, style, organization), Math (pre-algebra, algebra, intermediate algebra/coordinated geometry, plane geometry, trigonometry), Reading Comprehension (selected readings to include history, political science, fine arts, biology, fiction), and Science Reasoning (analysis, evaluation, reasoning, interpretations, problem solving). The ACT Plus Writing includes a 30-minute writing test also. The ACT includes 215 multiple-choice questions and takes approximately 3 hours to complete with breaks (or just over four hours if you are taking the Writing Test). ACT results are accepted by virtually all U.S. colleges and universities. The Advanced Placement (AP) Program is a voluntary program that offers high school students the opportunity to take one or more college-level courses while they’re still in high school. AP courses give students a head start on college while they’re still in the supportive environment of a high school classroom. Through college-level AP courses, students can gain the edge in college preparation and stand out in the college admissions process, as well as broaden their intellectual horizons. endeavor between secondary schools and colleges and universities. AP courses are taught by dedicated and enthusiastic high school teachers who follow course guidelines developed and published by the College Board. AP can change your life. Through college-level AP courses, you enter a universe of knowledge that might otherwise remain unexplored in high school and you have the opportunity to earn credit or advanced standing at most of the nation’s colleges and universities. To register for an AP exam, pay for the exam in the Finance Office. The ASVAB is an aptitude test that helps you learn about your yourself and your own interests, explore careers, and plan for your future. Sponsored by the Department of Defense, the ASVAB is a 3-hour, multi-aptitude, multiple-choice exam battery. Your ASVAB results provide scores for each of the individual ten subjects tested, as well as three academic composite scores, Verbal, Math, and Academic Ability, and two career exploration composite scores. While the ASVAB is best known for its use in the military recruitment process, it is a useful tool for all students as it measures the test takers aptitude for various careers. It also allows you to compare your test performance with that of other students at your grade level. There is no cost to take the ASVAB. Senate Bill 172 suspended the requirement that students take and pass the California High School Exit Exam (CAHSEE) as a graduation requirement through July 31, 2018. It is likely that a new, more comprehensive test will be developed and implemented during this time. The California High School Proficiency Examination (CHSPE) is a testing program established by California law (Education Code Section 48412). If eligible to take the test, you can earn the legal equivalent of a high school diploma by passing the CHSPE. The CHSPE consists of two sections: an English-language Arts section and a Mathematics section. 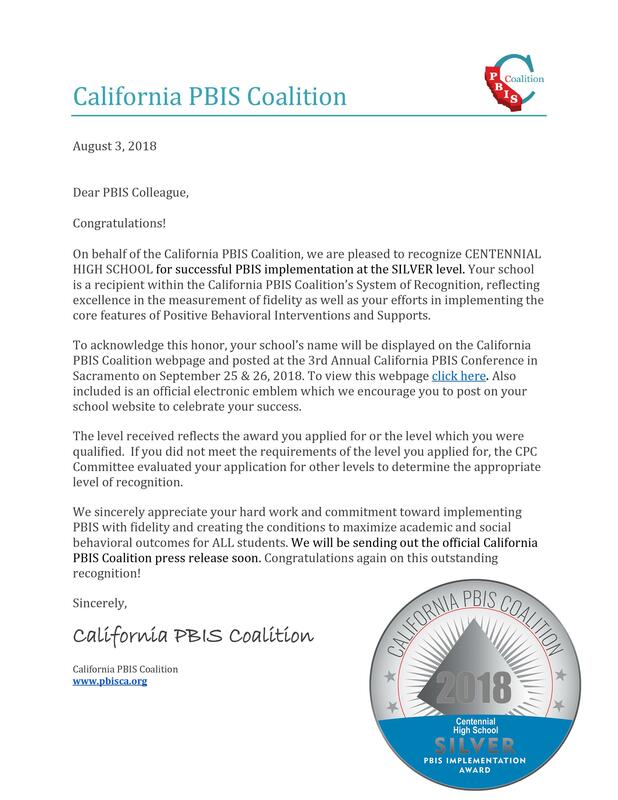 If you pass both sections of the CHSPE, the California State Board of Education will award you a Certificate of Proficiency, which by state law is equivalent to a high school diploma (although not equivalent to completing all coursework required for regular graduation from high school). Although federal agencies are not bound by state laws, the U.S. Office of Personnel Management has ruled that the Certificate of Proficiency shall be accepted in applications for federal civilian employment. The U.S. Department of Education, including the Federal Student Aid office, recognizes the CHSPE as the equivalent of a high school diploma in applications for federal financial aid. All persons and institutions subject to California law that require a high school diploma for any purpose must accept the certificate as satisfying the requirement. Passing the CHSPE does not, by itself, exempt minors from attending school. Minors who have a Certificate of Proficiency must also have verified parent/guardian permission to stop attending school. Many students who pass the CHSPE continue to attend school. State law provides that, if you leave school after passing the CHSPE and are no more than 18 years old, you may reenroll in the district in which you were registered with no adverse consequences. If you do reenroll you may be required to meet new or additional requirements established since you were previously enrolled. If you reenroll and then leave school again, you may be denied re-admittance until the beginning of the following semester. Contact your guidance counselor or school administrator for further information and details about leaving school after passing the CHSPE. Dropping out of school after registering for the CHSPE or while awaiting results is unlawful for those under 18 years old. It may also result in failing grades for courses in which you are enrolled. The PSAT (Practice SAT) is a practice test designed to help students preview and practice for the SAT. It tests the same skills and knowledge as the SAT but in a shorter format. It consists of 3 content areas: Reading, Writing and Language, and Math. Scores ranged from 0-80 for each area. (Adding a zero to your score gives you and idea of what you might have scored an an SAT exam for that section.) Test results are individualized and point out where students have specific strengths and weaknesses. The PSAT is only offered once a year in October. Centennial usually offers the exam on a Saturday. Other schools may offer it on a Wednesday. If you cannot attend our Saturday administration you can call other schools and see if they have any spots available. NMSQT: Participation in the PSAT also qualifies juniors for participation in the National Scholarship Qualifying Test. Students who score high enough (have a Selection Index or the sum total of all 3 scores) may qualify for cash scholarships and national recognition. For the 2015 school year, California students had to have a qualifying score of at least 222 to be considered for recognition or awards. For more information on the PSAT/NMSQT, click here. The SAT is a college entrance exam administered by the College Board. It tests your ability to analyze and solve problems in math, critical reading, and writing. It consists of two parts, the SAT Reasoning Test and the SAT Subject Tests. The SAT is currently being revised. The new SAT will begin in March 2016. For more information about the new SAT, please click here. Most universities require the SAT/ACT. For example, the University of California requires both the SAT Reasoning Test and two SAT Subject Tests for admission and class level placement. Most California State Universities require the SAT also. Centennial recommends that all juniors take the SAT for the first time in May or June of their Junior year. This will give you enough time to re-take the test again during the Fall of their Senior year if you aren’t satisfied with your score. If you have taken the SAT more than once, a cumulative report of all scores is sent to the colleges of your choice. You cannot select your latest or highest scores or separate scores for verbal, math, SAT Reasoning, or SAT Subject Tests. At Centennial, you should report to the cafeteria at 7:30 am. Bring your admission ticket with photo printed on it, official photo ID, several sharpened pencils, approved calculator with fresh batteries, and any snacks. You will be done at approximately 1:00 pm. You WILL NOT BE ADMITTED WITHOUT YOUR OFFICIAL ADMISSIONS TICKET OR ID! To register for the exam, to view test dates, or for all additional questions, please visit: http://sat.collegeboard.org. Centennial recommends that all students interested in improving SAT/ACT test scores complete some form of systematic, regular, individualized test preparation. The College Board’s research shows that merely retaking the exam does not necessarily improve scores. 55% of juniors retaking the testimproved their scores. The higher a student scores a junior, the more likely that the student’s subsequent scores will drop. The lower the initial scores, the more likely the scores will go up. On average, juniors repeating the SAT as seniors improve combined reading, math, and writing scores by approximately 40 points. About 1 in 25 gained 100 or more points on reading or math. About 1 in 90 lost 100 or more points. Whether it be a book, a class, or an online program, what is important in test prep is that the preparation be systematic, follow a smart plan, and include diagnostic and individualized tools to help the student focus on individual needs. The SAT and ACT offer test preparation help. Some is free, some is fee based. There are many other sources of test preparation. Centennial does not endorse nor sponsor any particular program or company. We do recommend you start your journey looking at the official practice sites and then add additional sources as appropriate.